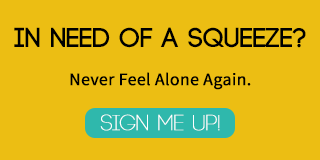 When my son went back to public school, I had no idea how much importance would be placed on Valentine’s Day. I mean, when I was in school we each had a paper bag and we spent ten minutes on Valentine’s Day handing each other our little Valentines and that was that. 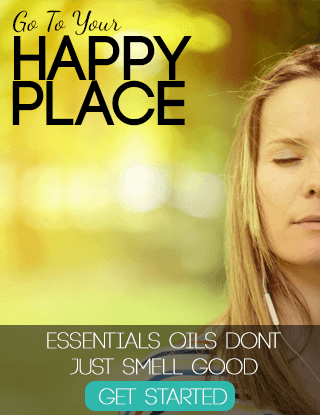 Now the stakes are much higher. 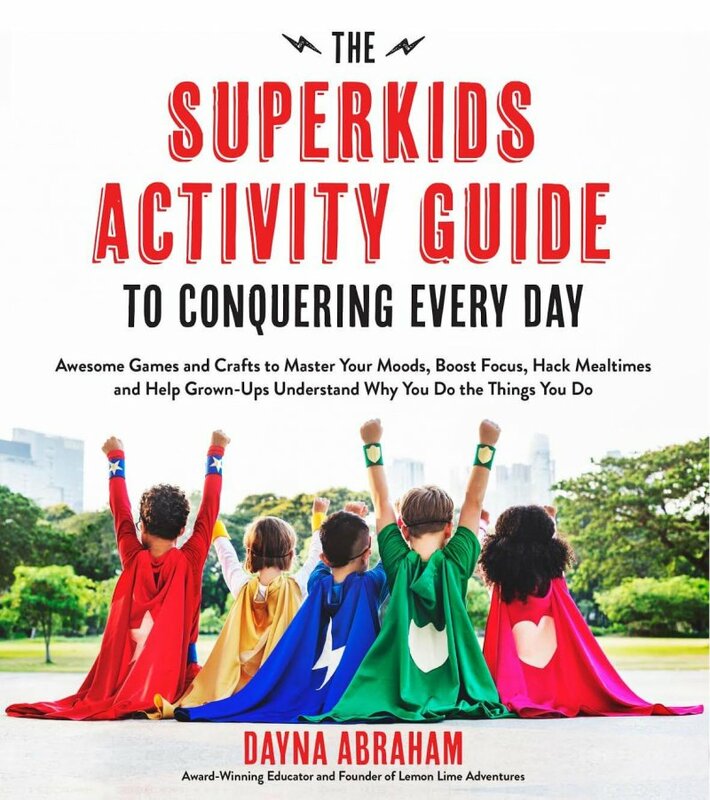 Handmade valentines are all the rage, and tons of them are just filled with sugary treats that turn our kids crazy! 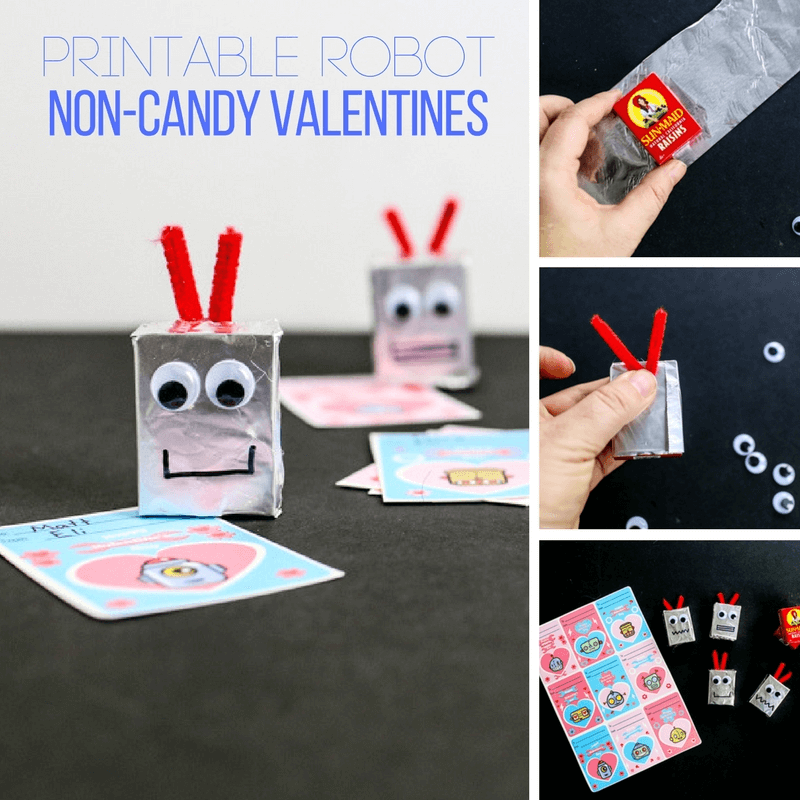 This year, I have been working hard to find non-candy printable valentines, and these robot non-candy favors are some of my very favorites! 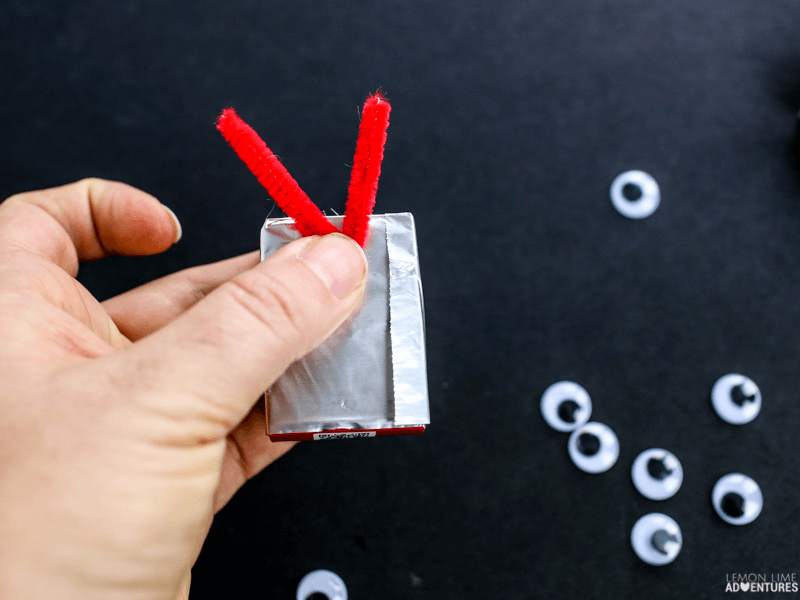 These robot head favors are adorable and really simple to make. 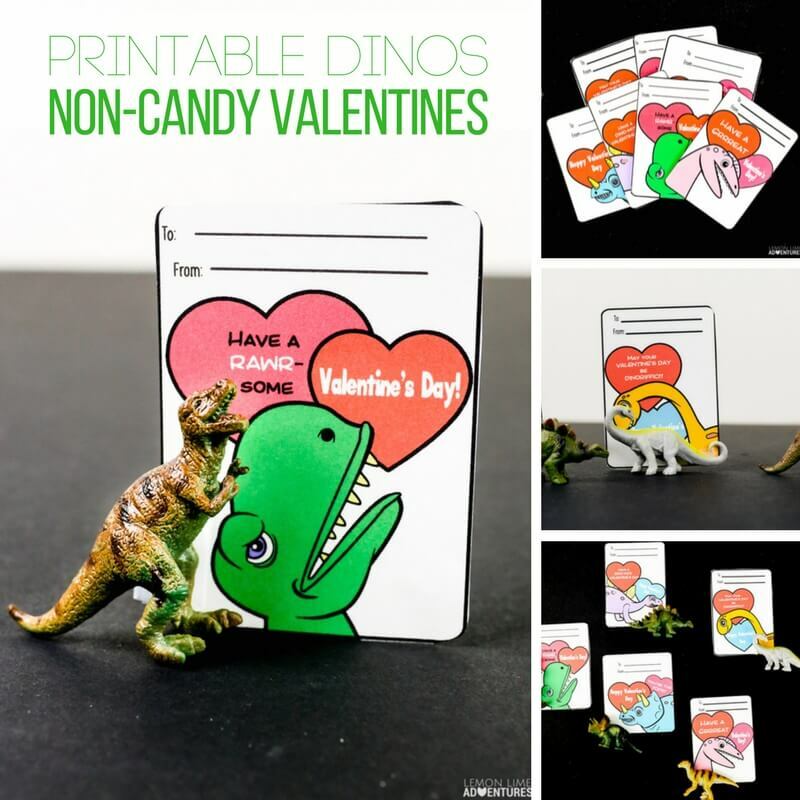 They’re the perfect non-candy printable valentines for a class party, and my son just loves them! 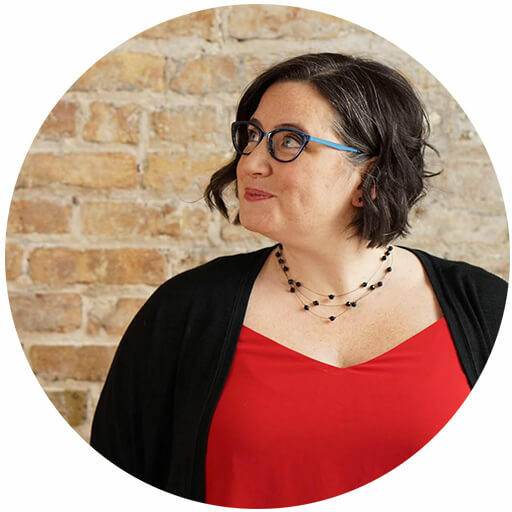 First, you’re going to cut your aluminum foil to be just taller than your raisin box, and long enough to wrap completely around. 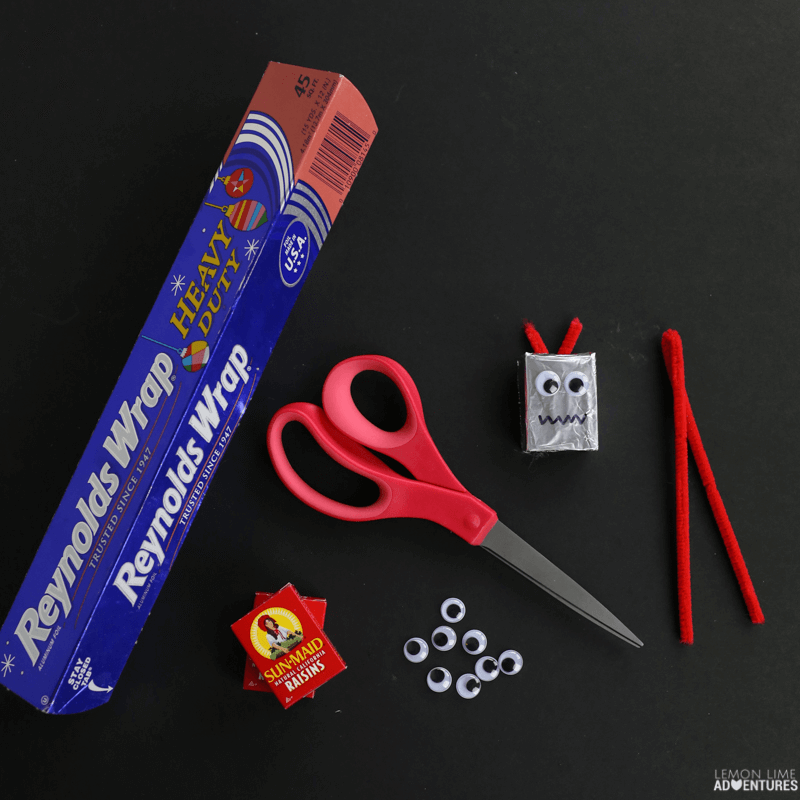 Then you’re going to wrap the aluminum foil completely around your raisin box. 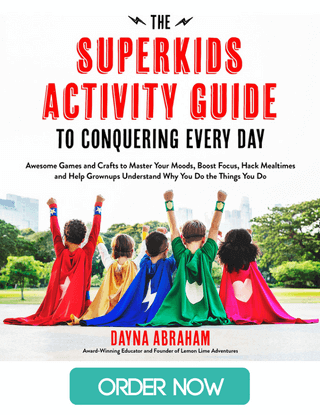 Now you’re going to cut down your pipe cleaners into “antenna” and glue them onto your robot. Then we’ll glue on some googlie eyes. 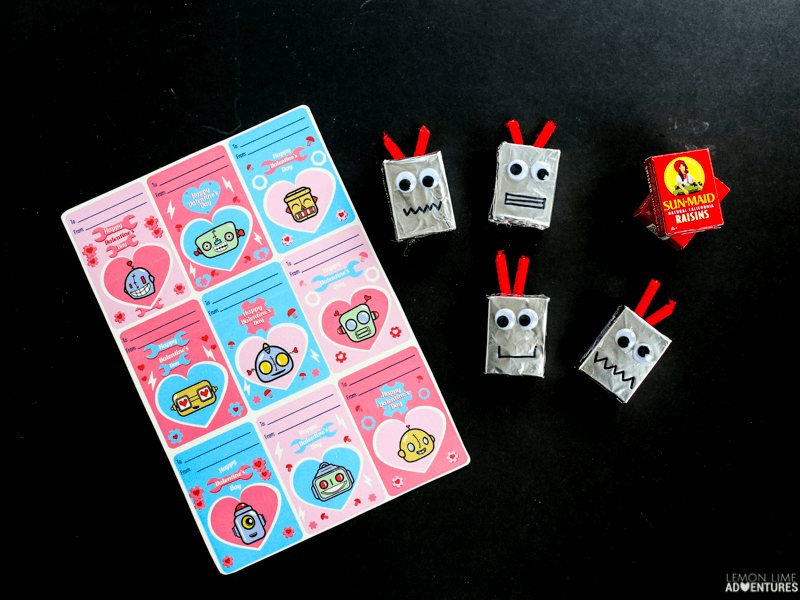 Use a sharpie to add some robot smiles, and print out the adorable printable robot valentines with the button below and you’re good to go! 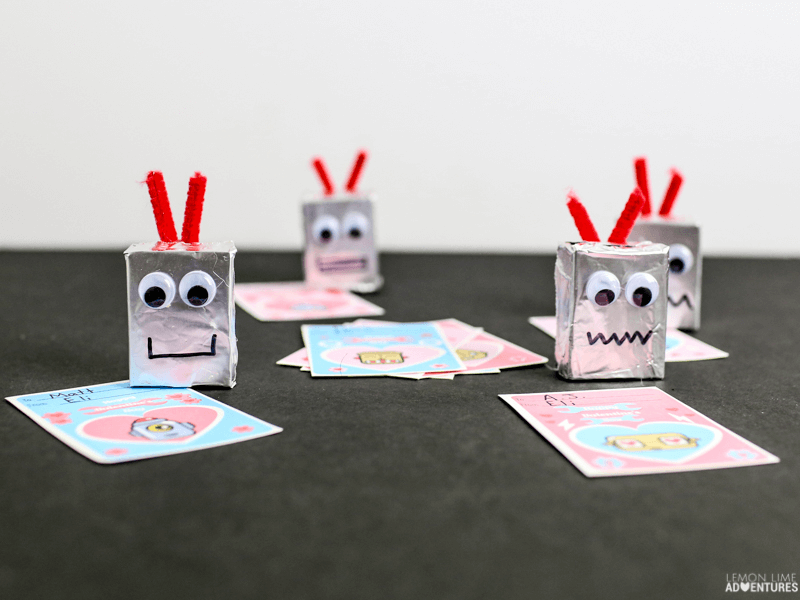 Your kid’s class will get a kick out of these fun robot head favors! 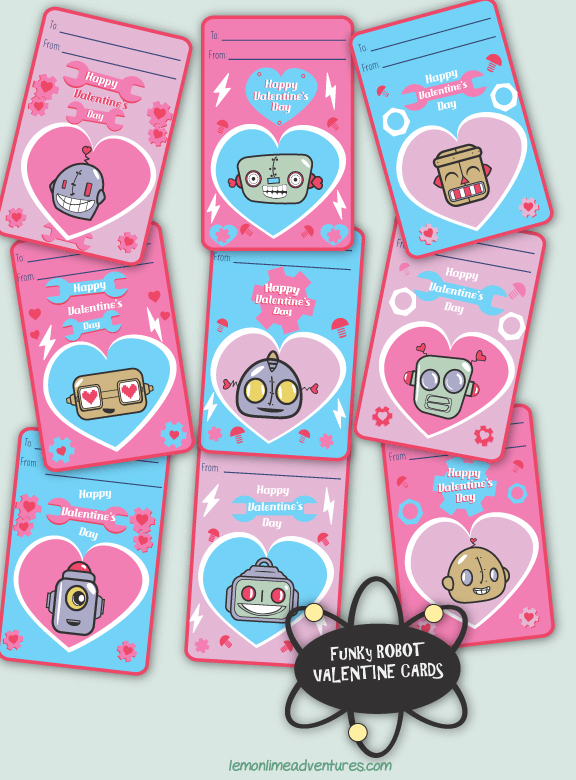 To get these adorable robot printable non-candy valentines, simply click the link below! 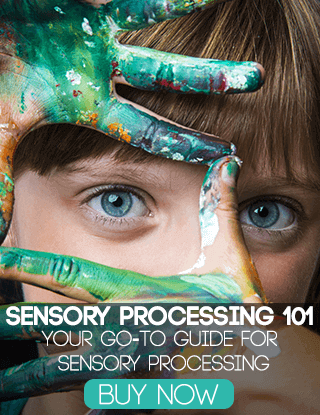 Print them out, cut them out, and address them. 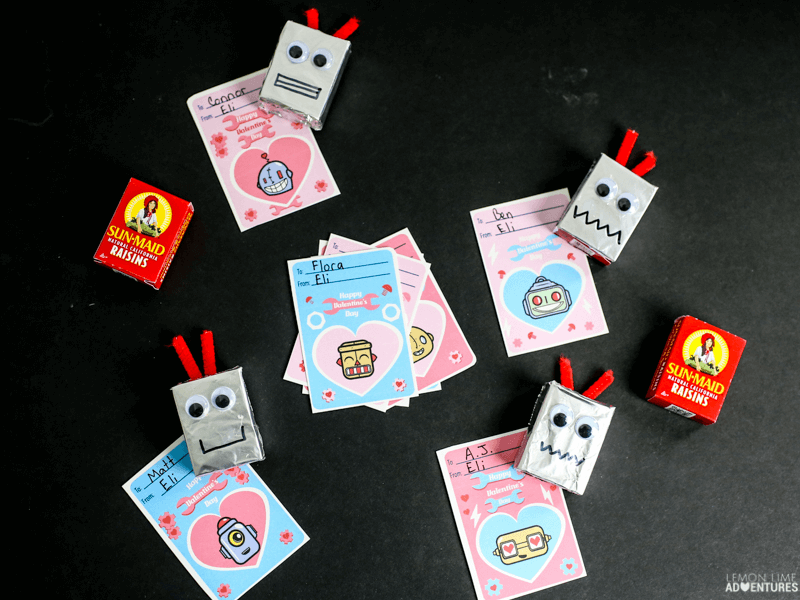 Add them to our adorable robot head favors, and you’re ready to rock that classroom Valentine’s Day party! 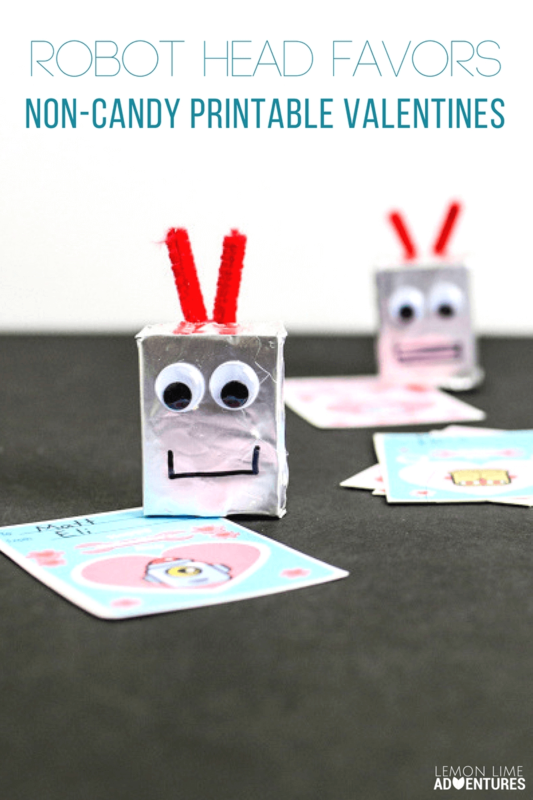 How much will your kids love making these robot valentines?